Writing one of these year-end posts has never been easy. Today, I find myself more so at a loss for words. It doesn’t mean 2018 has been a lackluster year. It’s a year that I continue to listen to the whispers of my heart and morphed and changed consciously and subconsciously. This year saw me going back to THE favorite country of mine (not one of) - Italy, where my Assistante and I continue to enjoy great food, be immersed in culture and make friends. And despite common conception about French people, we made our way into France. If you are interested, I will share my experience with the people there. Not that I’m trying to make a career out of winning photography/art competitions, I was lucky this year to be among the finalists in a prestigious international contest. It has also been a year of worry, fear and sadness. Some people I care about have been taken away from this world, including someone that I only got to know for one year. And as if it’s not hard enough, on a whim, someone that I call family was taken in the middle the holidays when the smell of roasted turkey still lingers. While I cuddle and reminisce the ones that leave an empty chair this holiday season, I’m also reminded that we are all made of something perishable. We don’t have “forever” to say good-bye and sometimes even one second is a luxury. 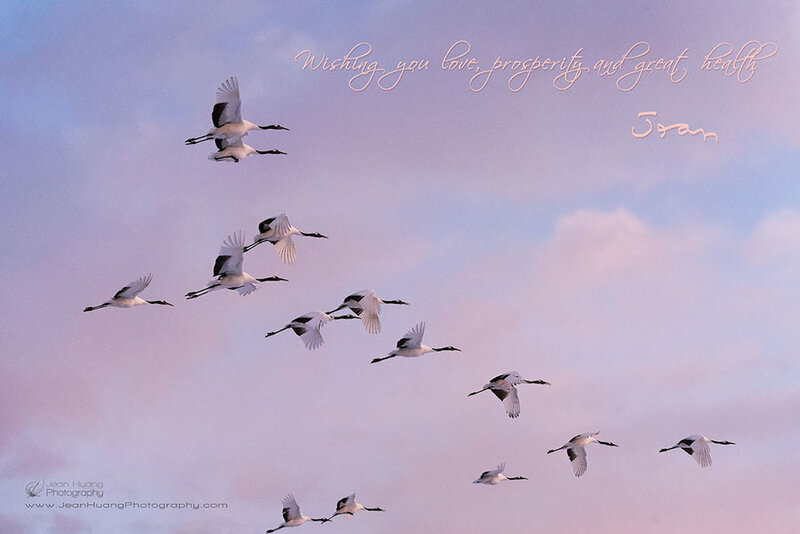 Finally, I’d like to send our wishes to you with an image of these birds of elegance and Japan’s national treasure. I hope these symbols of love, prosperity and good health will keep you well for the coming New Year!